Larry David is a master of style — not necessarily the style you may be thinking of; but comedic style. If you’re familiar with Seinfeld or Curb Your Enthusiasm, then you’ll know exactly what I’m talking about. He’s not about throwing epic punchlines at you or relying on funny insults in the bulk of his work; but rather crafting a joke on a subject that doesn’t really seem out of the ordinary, something that’s not so significant, something people may come across every day. And his real punchline is his overreaction to those insignificant situations. Larry David is a master of situational comedy. 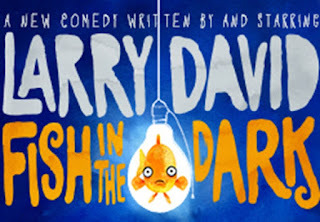 In his latest example, Fish in the Dark, Larry David gives us this wonderful plot with twists and turns and subtleties and absurdities while keeping to his style. Fish in the Dark is about Norman Drexel who, after the death of his father, must rearrange his personal life in order to honor his father’s somewhat unclear last wishes and move his mother into his own home. However, Norman’s life becomes undone when his father’s secrets are revealed and squabbling between his wife and mother ensues. Cue situational hilarity. Fish in the Dark is a very well-crafted comedy. Written by Mr. David himself, it’s a story that’s written for every character. It gives every performer the attention for a bit so they can get an amusing quip in. But Mr. David himself really turns it up to eleven. He is so used to playing such an agitated and paranoid character— because he is an agitated and paranoid man— that he can find a joke around every corner. I loved his character. 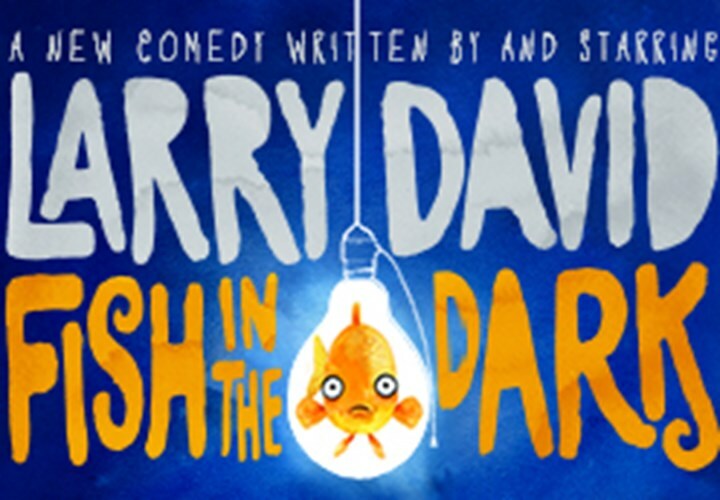 Now if you’re a fan of Seinfeld or Curb Your Enthusiasm, then Fish in the Dark is right up your alley. It has all the qualities of a sitcom but surrounded by the unique Broadway atmosphere. If you’re not familiar, however, with Larry David’s work, then this play makes for quite the introduction. It’s everything marvelous and gratifying about a Larry David work. Also, this play has an absolutely stellar cast. Rita Wilson plays Brenda, Norman Drexel’s sarcastic and lovable wife. Ben Shenkman (Angels in America, Burn Notice, Royal Pains) plays Arthur Drexel, Norman’s successful and self-absorbed brother. However, the moment is fleeting. This play is up for change; notably in the cast. As of June 9th, Larry David and Rita Wilson will be stepping down from their roles and will be replaced by Jason Alexander (Seinfeld) and Glenne Headly (Dirty Rotten Scoundrels) to the show’s end on July 19th. But that’s not bad news! That’s actually a great addition. Let me elaborate. I am a huge Seinfeld fan; HUGE. If you are too, then you’ll love the addition of George Costanza, Jason Alexander’s character on Seinfeld, to the cast. I think I may actually have to go again in a few weeks to see it again; just to see how Mr. Alexander takes this role on. However, not everyone is going to see a show twice in order to compare the actors and what each of them brought to the table. Who's got that kind of time? So let me attempt to break it down and help you choose. If you prefer Curb Your Enthusiasm over Seinfeld, then you should act fast and go see the show while Larry David is still performing. On the other hand, if you prefer Seinfeld over Curb, wait until Jason Alexander joins the cast. I believe that both actors make a tremendous leading man for this play (I know; what a cop out) but that the main difference will be seen in the history of these actors and their portrayal of such a character. Whatever performance you choose, Applause has tickets for it! Fish in the Dark plays at the Cort Theatre until July 19. Larry David and Rita Wilson step down on June 7th and Jason Alexander and Glenne Headly start on June 9th. Call us anytime and you can get tickets for this show! We’d love to talk to you!